Today’s decisions about your property have long-term effects on your home or business. That’s why you can’t cut corners with surveying and mapping. But how do you know the expert you hire has your long-term interests in mind? There are dozens of reasons to hire a surveyor. You may be expanding a section of your home. You may have invested in real estate as a place to build your business. In each case, the benefits and the risks are the same. But you won’t know what they are if you don’t ask the right questions. And too many people fall victim to malpractice because they don’t understand the process. But how do you make the right choice? If you choose the lowest bid, you may pay for it later. But the most expensive option isn’t always the best choice either. There are experts to help you hire the right contractor. 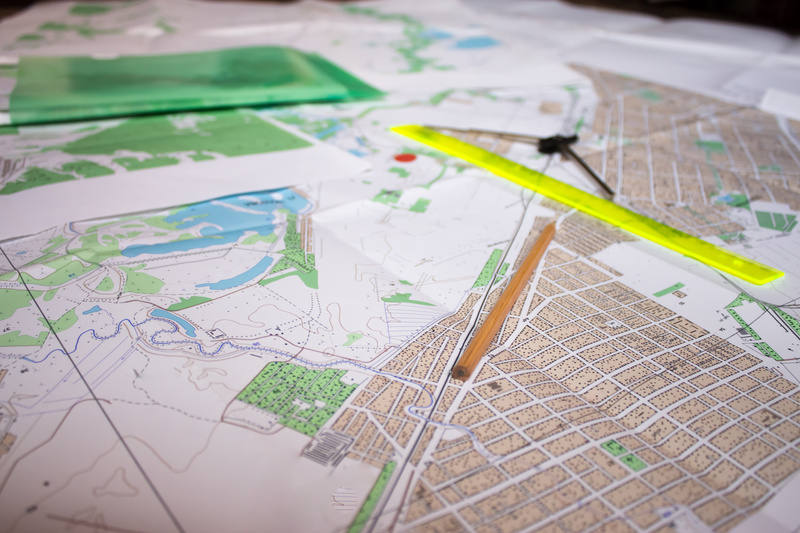 We’ll help you find a surveying and mapping expert that’s right for you. The following are ten qualities every good surveying and mapping expert should have. Keep these in mind as you review all options available. You can save money without missing out on the quality you deserve. Overlooking this important step will trip up your whole project. For legal reasons, your surveying and mapping expert should be licensed in your state. Someone who is not and takes your business anyway is untrustworthy. Contractors need to understand boundary laws in your region. In most cases, this requires a 12-hour examination to be certified. Unlicensed contractors will be unfamiliar with critical parts of your project. Your surveyor will need to get your map approved and recorded. He or she may need to assist you in court under some circumstances. Check your state’s statutes and regulations. Don’t hesitate to ask contractors for their certifications. It’s not uncalled for given the size of your investment. Too many businesses or individuals hire contractors and send them off. They don’t keep up with their work or stay abreast of their developments. They might also hire someone unwilling to communicate their progress. You need a surveying and mapping expert willing to talk to you about the project. That person must engage with you on a level you can understand as well. Keep an eye out for key indicators during the hiring process. Don’t hire someone you feel is talking down to you. Your input on the project is more valuable than theirs. You can always find someone else, and they should know that. Find someone willing to level with you on project matters. Ensures this person is available or willing to notify you of important events. The less you hear from your contractor, the more developments you’re missing. Some contractors look only at the project requirements. They will see a set of tasks they must complete to get paid. They won’t make an effort to understand why the project matters to you. This should be a red flag. You may think you only need a job to be done. But certain steps of that job will require a big-picture view. Assuming you have additional projects planned for the future. Is your surveying and mapping expert making decisions with that in mind? He or she might miss critical steps that can jeopardize those future plans. Be sure your contractor is willing to sit quietly and listen. This person should smile at realizing the value of your goal. He or she must have a genuine interest in seeing that goal realized. Educate your contractor about your goals for the project. Ask the question, “What will I get as a result of the work?” He or she should have a clear answer about the value they’ll provide. You should have a basic understanding of what surveying entails. But do you know if you need a topographic or boundary survey? Your surveying and mapping expert should know. You have already ensured your contractor is licensed in the state. Your contractor should also be familiar with your municipality. Your municipality will have specific regulations about proper surveying and mapping. Different cities require different types of surveys. These are two types that differ from city to city. Your surveyor must know which is appropriate. What’s more, different surveys require different teams and equipment. If your contractor is doing too much or too little it will cost you. Hire a contractor with the same care as when hiring legal counsel. Your team is only as good as the quality of their tools. That adage especially applies to surveying and mapping. And surveyors unwilling to invest in quality tools might be cutting other corners. State requirements will dictate the quality of equipment required. This includes recorded maintenance, calibration, and documentation. Seek a verbal confirmation and willingness to produce these records from your contractor. Access to quality equipment is not an excuse. This company and others make renting equipment straightforward. You can decide whether the extra cost can be rolled into your budget. You’ve gotten much of the critical vetting done. Now you should determine if your contractor has the right work background. His or her organization should have a record of successful projects. Look for case studies and testimonials on their website. Express a desire to speak to past clients as well. It’s up to you how much to explore. You should at least seek their willingness to share this information. If you see no evidence or support, consider looking into alternatives. Have you met your contractor’s crew? More importantly, has your contractor met them? Be wary of contractors that don’t work with regular crews. You may find this is more expensive. But unfamiliarity in the crew could lead to delays or miscalculations. Ask soft questions about your contractor’s crew. If he or she recalls certain jobs and events, that’s a good sign. If she or her talks about them like strangers, you may have a problem. Many contractors work with the same team for years. You may see these teams have better communication and coordination. They may get jobs done quicker as well. More importantly, they will be more invested. They will not hesitate to raise issues with their supervisor. They may even own a share of the operation as well. Let’s assume you have concerns or changes during the job. Does your contractor seem willing to listen to your words? Can he or she translate your concerns into real world results? Again, don’t hire someone who will talk down to you. These people will take advantage of you because of your lack of expertise. It should be the other way around. The contractor has a lack of expertise in what the results should be. Look for a surveying and mapping expert willing to learn from you. Mistakes will happen. Sometimes they’re costly. If the fault is your hire’s, will it still be in your bill? Be sure your contract is clear about accidents and even injuries. Your team shouldn’t raise prices if their mistakes caused delays. Be sure you have a team that doesn’t require your supervision. You can protect yourself by checking their background as discussed. Consider certain guarantees in your contract as well. Your team will hit unavoidable problems. The problems will be no fault of their own. But what are they willing to do about it? Pitch the idea to the contractor you’re considering. See if that person will take some initiative. Are they willing to consider solutions or simply wait to be told what to do? Think of your surveying and mapping expert as a team member. You’ll need this person’s expertise to overcome topological problems. Be sure your contractor plays a consultant role in your project. In essence, surveyors are interpreters and disseminators. Surveying has a mix of intellectual and physical challenges. The right candidate should have a background that helps them excel. This can include a bachelor’s degree in technology. Technical writing is a plus for documentation purposes. A military background suggests the ability to use complex devices in the field. Above all, your surveying and mapping expert must be someone with whom you’re comfortable. This should be someone with whom you can familiarize yourself quickly. Someone willing to explain his or her field comfortably and listen to you explain your goals in turn. When it comes to land, someone draws the line. Partner with someone who draws it in the right place. The most common mistake you can make is assuming you have limited options. Find a Business That… helps residents and businesses find the best contractors in their area. We have consumer, marketing, and legal services at your fingertips. Getting started is easy. Access our website and start finding local businesses and contractors now.